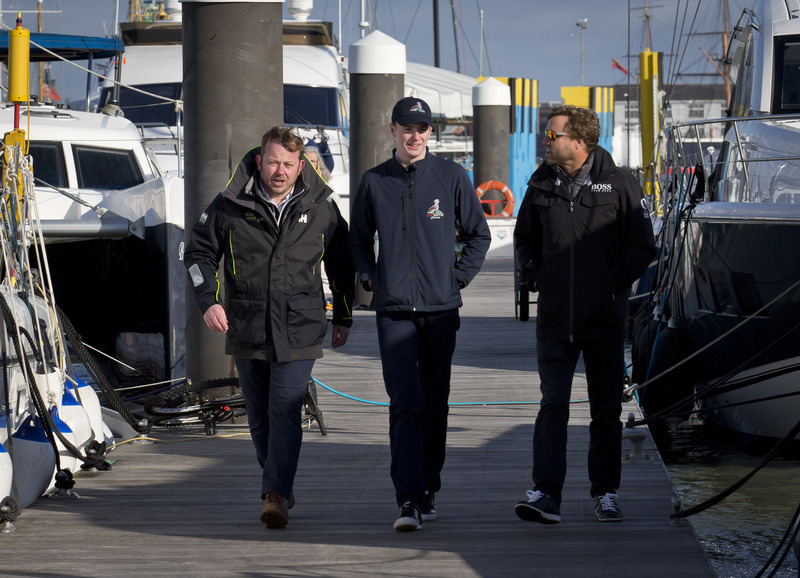 The last few weeks have been very busy for the Dream Yacht Charter team in the UK, with the arrival and fit out of our brand new Dufour 460 GL, culminating in a special naming ceremony on Thursday 7th February at Haslar Marina in Gosport. Followers of the company may be aware that during the 2018 Southampton Boat Show, we named local not-for-profit organisation, Oarsome Chance, as our official charity partner. This amazing company help local young people who are disengaged from mainstream education in achieving a positive future through vocational work experience and support in the form of marine engineering and water sport activities, building their confidence and assisting them in gaining the skills and qualifications as an alternative route to employment. 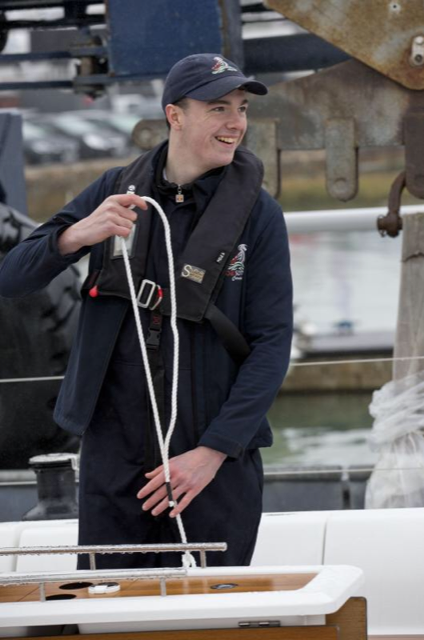 Following the arrival of our new yacht to our UK base at Port Hamble Marina, we were lucky to receive assistance in the preparation and fit out by apprentices from the charity, including 17-year old Joe Swindale, who along with his colleagues, worked tirelessly in ensuring that the yacht was ready for her official naming ceremony. 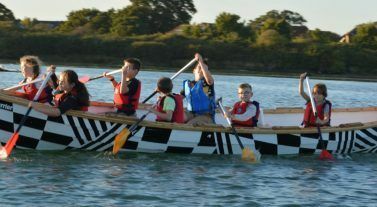 In honour of the dedication and support that the charity show to these local youngsters and further cementing our relationship with them, we felt it only fitting to name our new flagship for the Solent, ‘Oarsome Dream’. 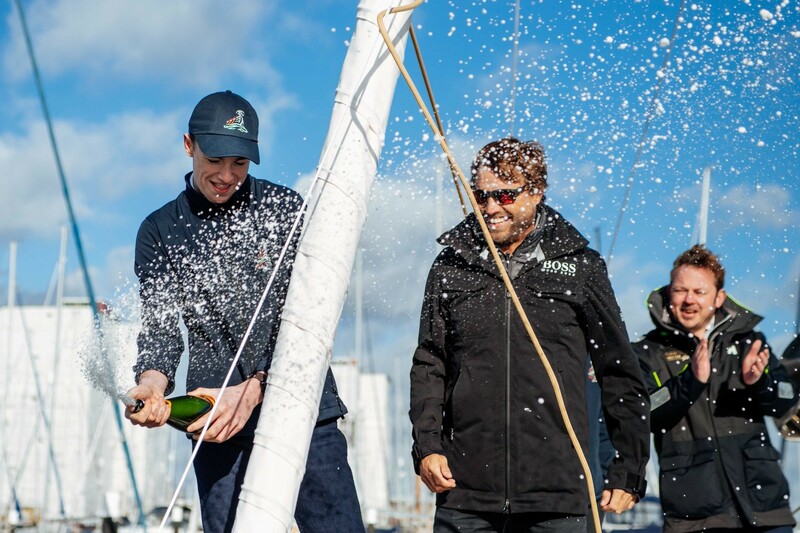 In addition to the team from Alex Thomson Racing, we welcomed fellow members of the Dream Yacht Charter team, Principal of Oarsome Chance, John Gillard and apprentice Joe Swindale to Hasler Marina, who was thrilled to officiate the ceremony by pouring champagne over the bow as Alex named her. 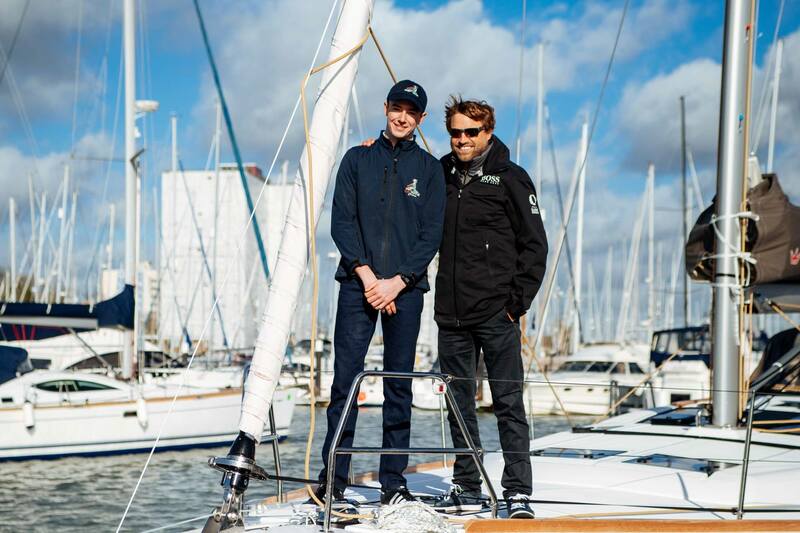 “This is a fabulous day for everyone at Oarsome Chance with our Patron Alex Thomson naming this stunning new yacht Oarsome Dream. 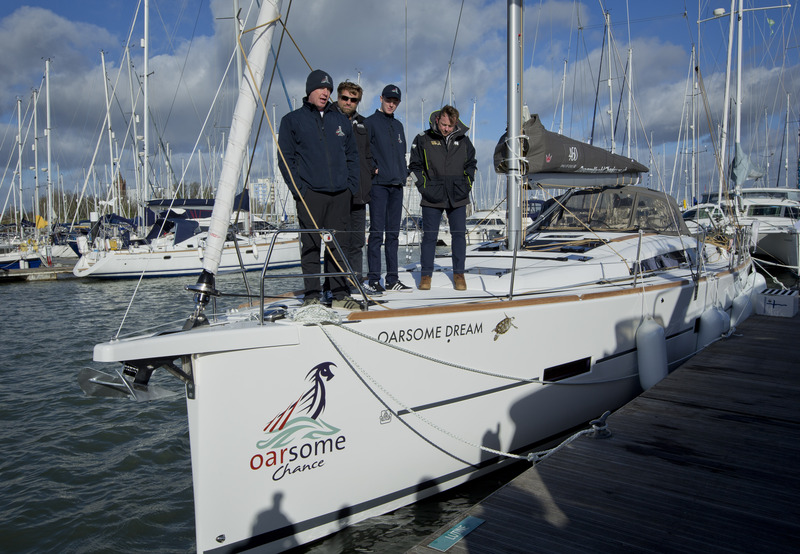 By involving our young apprentices in the commissioning process for the latest addition to their fleet, Andy and his team at Dream Yacht Charter have created a project that sums up what Oarsome Chance is all about. 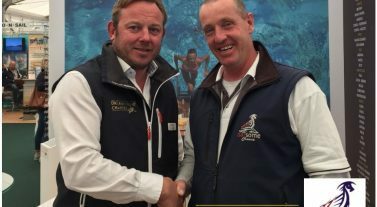 We are all united in our commitment to create meaningful opportunities for young people to widen their horizons and boost their employment prospects,” John Gillard, Principal of Oarsome Chance, said. We are excited to welcome this beautiful new yacht to our fleet and look forward to welcoming our customers onboard for charters from our UK base at Port Hamble. If you would like to charter our new Dufour 460 GL, Oarsome Dream, contact our specialist team on 02380 455527 or email sales@dreamyachtcharter.co.uk. Inspired by the work Oarsome Chance do? You can donate to the charity, here. 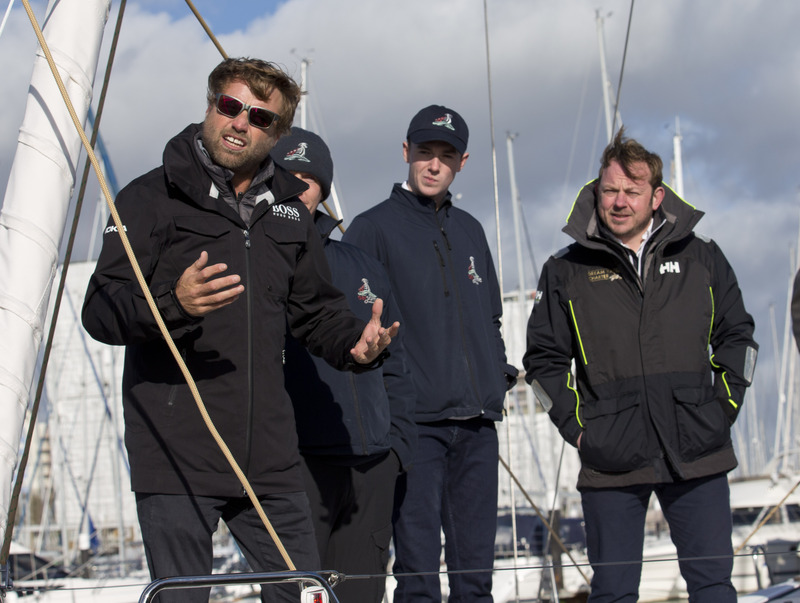 Who are Oarsome Chance, Dream Yacht Charter UK’s official charity partner?